The International Production & Processing Expo (IPPE) is the world’s largest annual poultry, meat, and feed indus-try event of its kind. 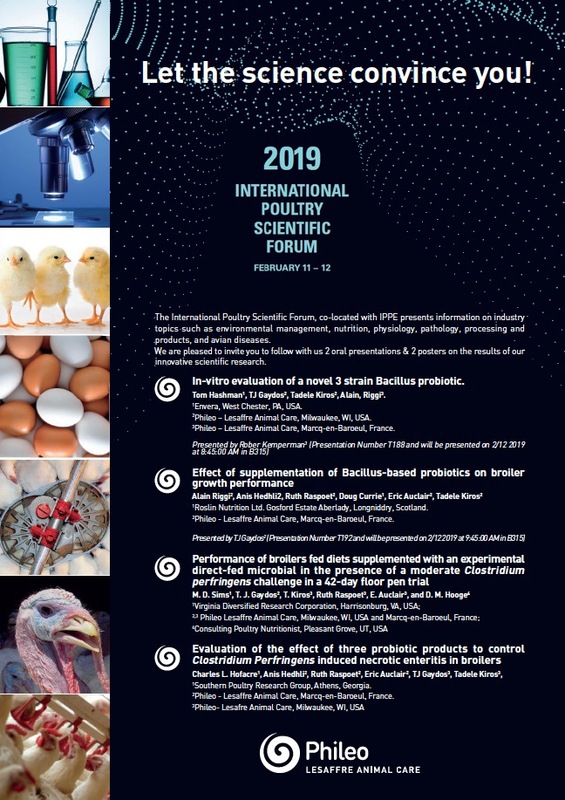 Phileo is pleased to invite you to discover in person how their newest innovation, Microsaf® – the new generation multi-species bacteria probiotic in poultry, can improve your poultry business. 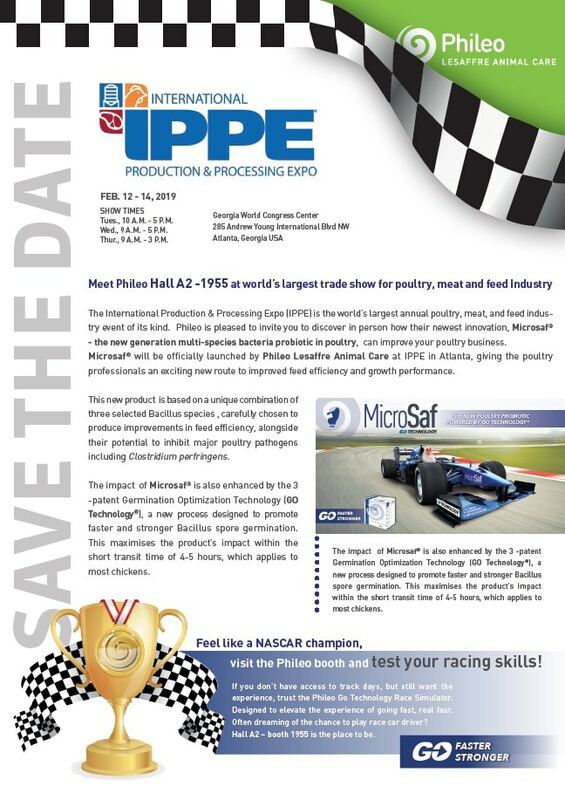 Microsaf® will be officially launched by Phileo by Lesaffre at IPPE in Atlanta, giving the poultry professionals an exciting new route to improved feed efficiency and growth performance.